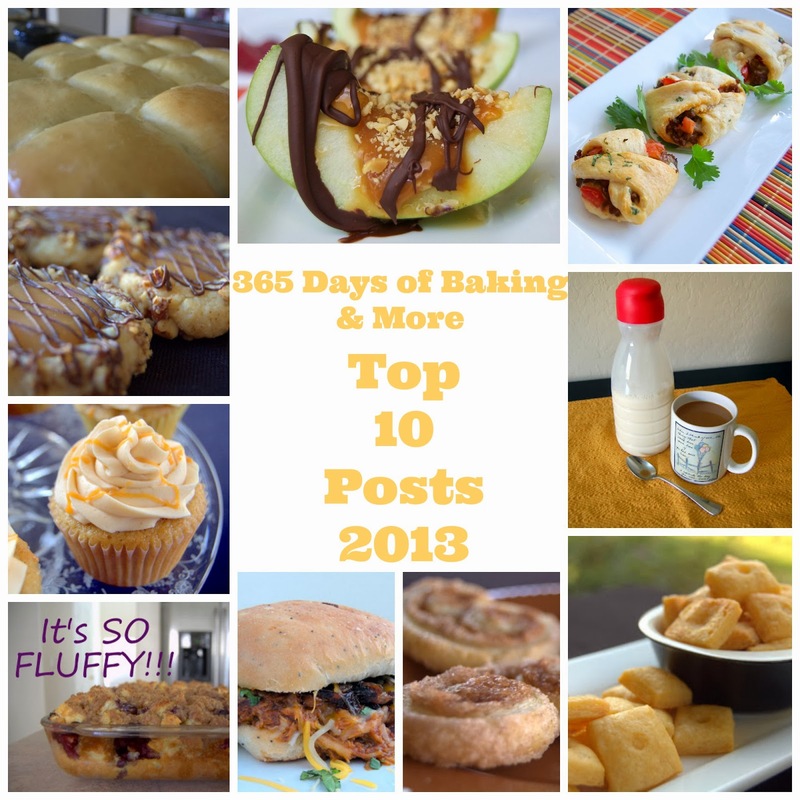 Of course, I have to do a 2013 review of the top ten recipes here at 365 Days of Baking. And even if it is almost halfway into 2014, I’m still gonna do it! I know we aren’t halfway though it, it just kinda seems that way. I mean, Christmas is SO last year already! I just don’t think ending the year (or being a good two weeks into the next one) would be complete without it. I was in high school when that Prince song, “1999” came out and it seemed like it’d be forever until 1999. Everyone was afraid it would be the end of the world when the millennium came around. Well, we know that never happened. Then there were all these other dates of when the world would cease to exist. BUT there are also MANY others that were even BEFORE January 1, 2000. You can see them here! Who knew?! And of course, I’m sure there are many more. On to the most popular posts of 2013. Shall we? 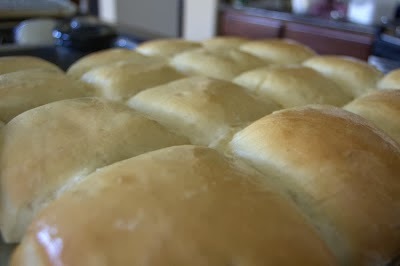 The most popular recipe has continued to be the Copycat Recipe – Texas Roadhouse Rolls. 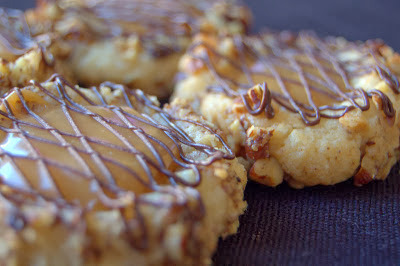 I’ve made these quite a few times now and they’re always a crowd pleaser! Remember to serve them up with that Cinnamon Honey Butter because they just wouldn’t be complete without it. Next up is this incredible Blueberry French Toast Bake. I’ll be making some tonight so everyone can eat it in the morning. It is so incredibly delicious that we could probably eat it nearly every day and not get sick of it. I make a 9 X 13-inch dish of it and with 5 people, it’s gone in one sitting! This next recipe has been a lifesaver many mornings here at the 365 home. It’s the Homemade French Vanilla Coffee Creamer. It is so good in my morning cup of coffee, is inexpensive to make and is probably healthier for you than the stuff you buy in the store. Why buy the bottled when you know exactly what you’re putting into your own creamer? 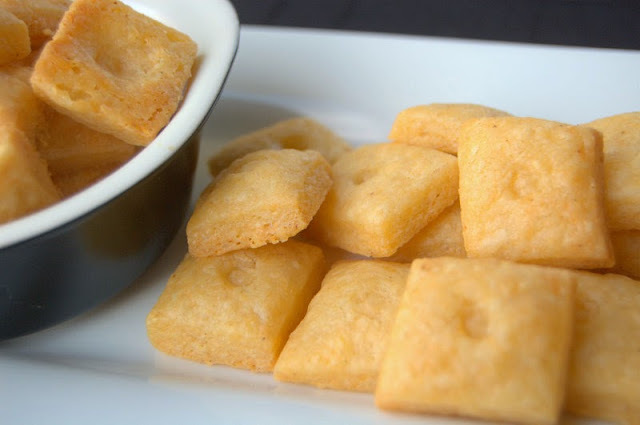 Coming in at number four are the Homemade Cheese Crackers. I LOVED these things!! So, I’m thinking why have I not made them again and again and again?? Because I’m lazy? Nah, but could be. I think it’s just that I’ve been busy making SO many other things. I do think though that I’ll be making a variation of these in the very near future, so watch for it! One recipe that I have made over and over and over again is this Crockpot BBQ Root Beer Shredded Chicken Sandwiches. We eat A LOT of chicken, I LOVE to use the crockpot and this recipe is just so DOGGONE good that we can’t get enough of it! Geez, even just talking about it is making me want some – NOW!! And remember to have on hand the caramelized onions, shredded cheese and cilantro when you serve them. It definitely brings them to a whole ‘nother level!! Like “BAM” almost! (Actually, much better than bam – KERPLOWEE!!! I don’t know, just go with it. Next up is the Salted Caramel Thumbprints. These have been such a hit this year and received so many views every time they’ve been shared on the 365 Days of Baking Facebook page. And they wouldn’t be popular if they weren’t so darn delicious! Also, it was so cool to see from followers the pictures they posted of them they’d made. Wow, that sentence made entirely no sense after I read it out loud, but it sure sounded good in my head. Translation – Facebook friends posted pictures of their Salted Caramel Thumbprints and it was great that they shared! I was SO proud of them!! It was pretty awesome. A couple of the ladies said they hadn’t much experience with baking, that they had received wonderful compliments from friends and family and had even won cookie contests they’d entered! 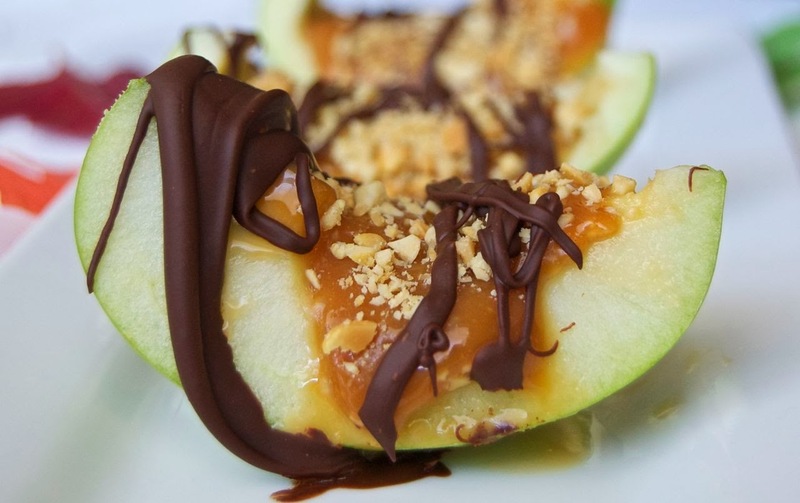 A very popular and yummy recipe has been the Inside Out Caramel Apples. MAN, these things are GOOOOOD!!! They are so much easier for the little ones in your life to eat. They don’t have to struggle with a big ol’ apple. Older people like them for that reason, too! Oh, how I want one N-O-W!! 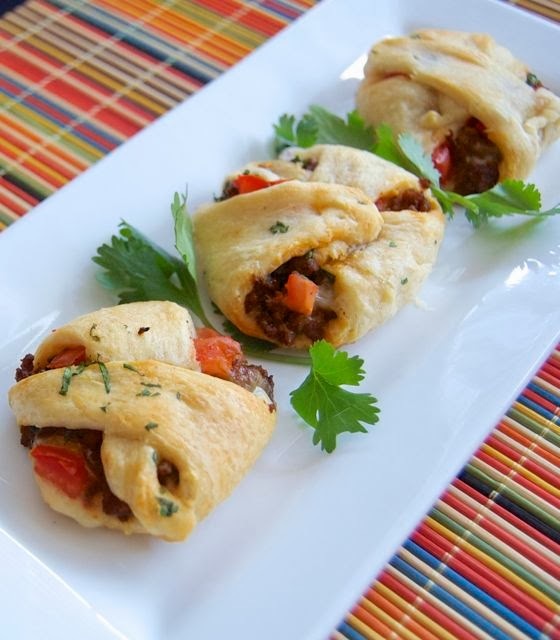 A great food to serve at those upcoming football parties are these Taco Pockets. There’s so much taste in these little bite-sized beauties that it’ll knock your socks off! Ok, not really gonna knock your socks off, but you’ll really like them. 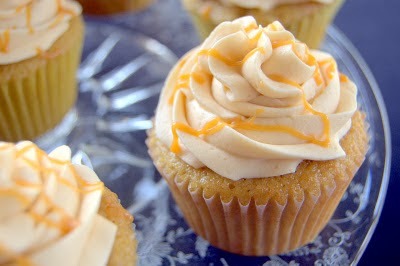 Harry Potter Butterbeer Cupcakes are such a wonderful treat for that Harry Potter fan in your life. You’re sure to score BIG points when you make these for them! And you can make them “just because”. There doesn’t have to be a special reason. 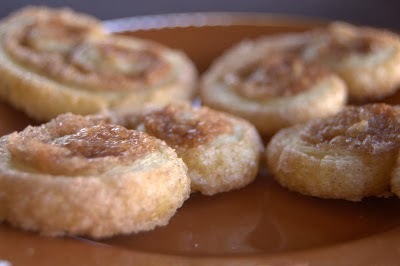 To finish off our 2013 Top Ten List I present to you Cinnamon Sugar Palmiers. Perfect with that morning cup of coffee, these will surely bring a smile to your face. Or maybe to the face of others sitting near you while they watch the peace and tranquility wash over you after you take your first bite and melt into the couch or chair that you’re sitting in. Enjoy the food, my friends!! There’s much, much more to come in 2014! !